Can CBS save the world? This week, the network released a new preview for their upcoming TV show Salvation. Salvation premieres on CBS on July 12th at 9 p.m. ET/PT. What do you think? Do you watch CBS? Will you check out Salvation? More about: CBS TV shows: canceled or renewed?, Salvation (2017), Salvation (2017): canceled or renewed? Salvation: Season Three? Should the CBS Summer Series Be Renewed? 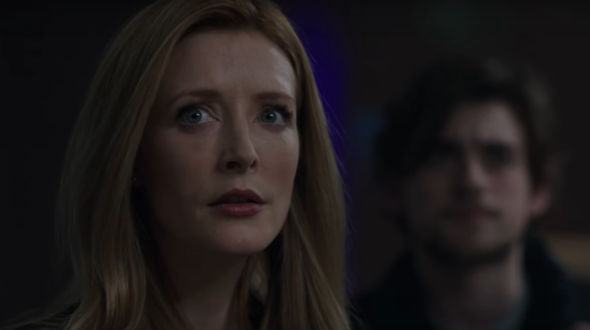 Salvation: Is the CBS TV Show Cancelled or Renewed for Season Two? I love that show! Keep it showing! I expected the mini series to come to a completed ending. Instead, it was just an advertisement for a television show. Talk about a disappointment. I’m done with it. You couldn’t pay me to watch it! Sorry I wasted my time. I, for one, am enjoying this series, its exciting and I love the twists. hope this show ends soon, had enough. Don’t know what you folks are talking about? This is a superbly written story with twists and turns you don’t expect….that should hold your interest. If you never started watching, you are missing out. It is extremely well done! I’ve enjoyed it immensely! Not predictable AT ALL! The cast is excellent, but the story line has started to go around “in circles”, which leads to viewers to lose interest……. I watched the first episode, turned it off 45 minutes in. As usual, just another boring, predictable story line, where in the last few minutes of Earth’s potential demise, some chick in heels or some yuppie will somehow save the Earth. Just for once, can’t Hollywood make a damn movie where the asteroid actually hits?